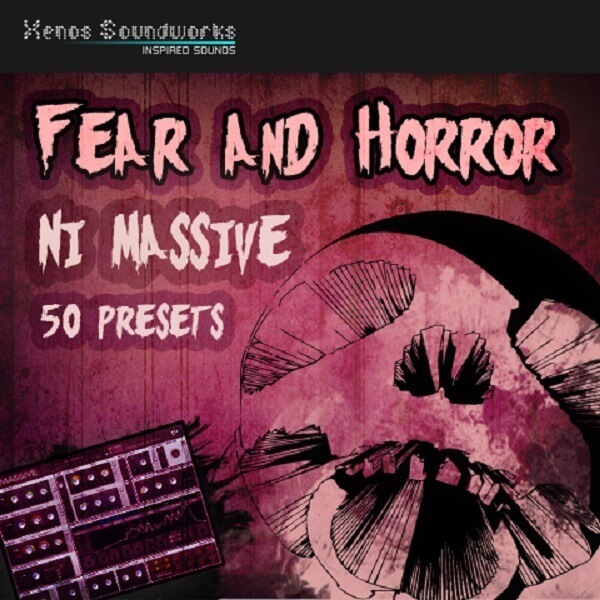 ‘Fear and Horror’ contains 50 disturbing and frightful pads, atmospheres, sound effects, bells and other sounds for N.I. Massive, which are guaranteed to add that macabre touch to your tracks. All 8 Macros are assigned to each patch for maximum expression. Please note: This set is in the new NMSV format only. Bryan ‘Xenos’ Lee has worked as a sound designer for such companies as Native Instruments, Cakewalk, Rop Papen, ReFX, Camel Audio, Image-Line and many more. His work is found in several Native Insruments Maschine expansions and the factory presets of such synths as Z3ta 2, Alchemy, Gladiator, Punch, Toxic Biohazard, Scanned Synth Pro 2, Chipsounds, DCAM Synth Squad, D.I.V.A., etc. He is also very active in developing his own brand, Xenos Soundworks. Bryan lives in Michigan, USA.